New Honda models feature some of the most advanced tech features in the auto world, but if you’re having trouble figuring out your 2015 Honda Civic Bluetooth or HondaLink systems after driving back home to Denver or Boulder, Fisher Honda can help. Our service center technicians sit down in the driver’s seats of our popular models and create how-to guides and videos covering everything from Bluetooth, HondaLink, and Navigation technology to important vehicle maintenance, so that you can learn about your new Honda right from the comfort of your home. Bluetooth is a short-wave radio signal that connects your smartphone or other device to accessories like a headset, smartwatch, or a car. After your device is synced to your 2015 Honda Civic over Bluetooth, it becomes “paired” to your car and connects automatically, letting you send commands to and from your phone. It takes just a few minutes to pair your smartphone to a 2015 Honda Civic over Bluetooth, and then you’ll be making calls and streaming audio in no time. The first time you answer a call over Bluetooth might feel strange, but it’s easy. By your second handsfree call, you’ll wonder how you did without Bluetooth behind the wheel. When you need to make a call on the road, you don’t need reach for your smartphone. Just bring up your contacts list on the touchscreen. You can also dial a number not in your contacts at all. Pairing your smartphone to your Civic means never being stuck with local radio stations. You can stream audio directly from your phone or from an app like Pandora or Stitcher. Sometimes the best way to solve a tech issue is to unpair your phone from your 2015 Honda Civic Bluetooth connection, and it just takes a few seconds to unpair and repair your phone. 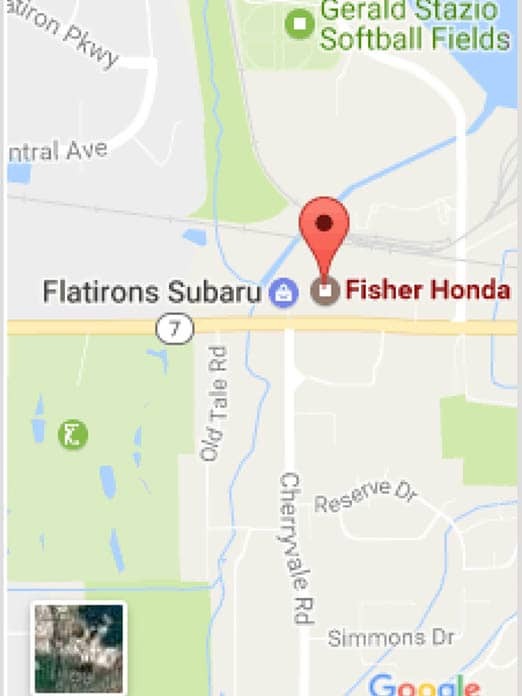 If you have any other questions about your 2015 Honda Civic Bluetooth or HondaLink system, feel free to contact our service center or drop by Fisher Honda for a chat with a service expert. If you want to learn more about setting up Bluetooth in a Honda CR-V or Fit or would like to learn more from out other instructional videos, just click a button below.